VietNamNet Bridge - VietinBank, a state-owned bank, is no longer one of the top 5 profitable banks, while a private bank has for the first time been added to the top 3. In Vietnam, four state-owned banks were the largest and most profitable in previous years, but that has changed. VietinBank’s chair Le Duc Tho confirmed that the pre-tax profit of the bank was VND6.8 trillion in 2018, much lower than the VND9.2 trillion in 2017. Tho said the bank’s plan on raising charter capital has not been approved by SBV, but it has begun a reshuffling plan. It had to scale down its operation in the last months of 2018. Cutting lending and increasing provisions against risks were the reasons behind the fall in profit. Meanwhile, Vietcombank stands in the first position on the list of most profitable banks with pre-tax profit of VND18 trillion. The second position belongs to a private bank – Techcombank – with VND10 trillion. VietinBank, a state-owned bank, is no longer one of the top 5 profitable banks, while a private bank has for the first time been added to the top 3. Analysts say that Techcombank is following a specific operation model with its core activities revolving around relations with large partners such as Vingroup (real estate developer), Masan (consumer goods manufacturer) and Vietnam Airlines (air carrier). A report shows that Techcombank’s credit grew by around 4 percent by the end of September 2018. However, the bank had used up the ‘credit room’ allocated to it, with the corporate bond value increasing by VND13 trillion. The bank’s net interest margin made up 50 percent of total income in 2018, which meant that a large proportion of revenue came from non-credit services and extraordinary profits. Techcombank’s total revenue was lower than other banks of the same scale, but its profit was considerably higher. The other top positions on the list belonged to BIDV, a state-owned Bank, and VP Bank, a private bank. Though VP Bank’s profit was 12 percent higher in 2018 than one year before, it implemented only 84 percent of the yearly profit plan. 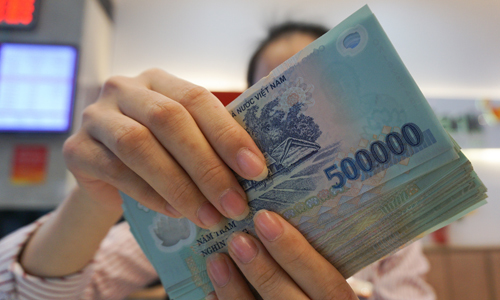 VnExpress quoted sources as saying that the former gained profit of VND9.6 trillion and the latter VND9.2 trillion. The upswing made by VP Bank in recent years has been interrupted because of the slowdown of FE Credit, a VP Bank 100 percent owned finance company. The company only made up 40 percent of total profit of the bank. The fifth and sixth positions belonged to Military Bank (MB) and Agribank which reported profit of VND7.6 trillion and VND7.5 trillion, respectively.